Goldman Sachs pulls top exec Dina Powell from attending conference in Saudi Arabia in wake of disappearance of journalist Jamal Khashoggi. Goldman Sachs on Thursday pulled one of its top executives from attending a conference in Saudi Arabia in the wake of the disappearance of journalist Jamal Khashoggi, company CEO David Solomon said. 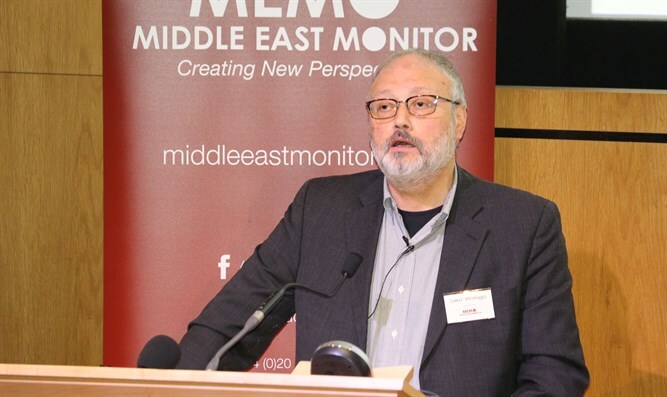 The firm was set to send Dina Powell to the conference, but changed its mind amid the uproar over Khashoggi's apparent murder, Solomon told CNBC. Powell serves on the New York-based bank's powerful management committee, had a stint as a senior adviser to the Trump administration and was most recently briefly considered for the role of US ambassador to the UN in place of Nikki Haley. "This incident is unacceptable and clearly they have to answer questions," Solomon told CNBC on Thursday. "How they answer those questions and how more information becomes apparent around this will have an impact on how we all interact." Solomon, who officially began as CEO of Goldman on October 1, is tasked with continuing the transformation of the company from a primarily Wall Street firm to one that reaches far more retail and corporate customers. Part of his challenge is to seek more revenue from the firm's traditional clients among governments and sovereign wealth funds. "With respect to Saudi Arabia over the last couple of years, we've listened as they've talked about their vision to participate more broadly in the global economy and diversify economically, and also to remake or remodel their society," Solomon said. "We've listened and watched that. And to the degree that they could deliver on that, that would be good for Saudi Arabia and good for the world." Goldman Sachs’ announcement came hours after US Treasury Secretary Steve Mnuchin pulled out of the Saudi conference. Mnuchin tweeted that he would withdraw from the conference after a meeting with President Trump and Secretary of State Mike Pompeo.